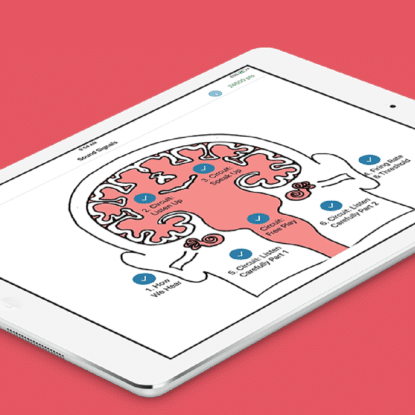 Simplifying school-­to-­home communications started with transforming an everyday tool — the smartphone — into a hub of updates and resources. Parents and students are busy. Too often, there isn’t enough time to relay specific details about class updates, practice schedules or other critical facts that can complicate life day-­to-­day. Information can be lost in translation, creating frustration between parents and students. 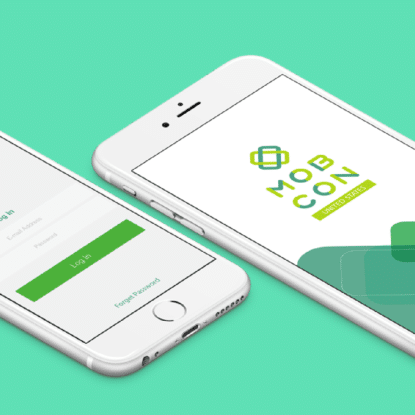 Real-time push notifications sent by administrators and a feed that gathers customized news could streamline the process. 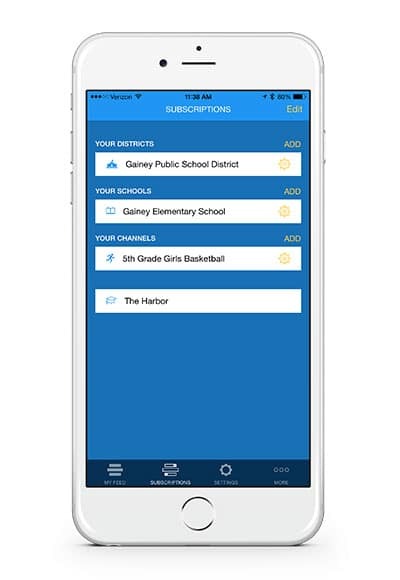 Mobile devices provide a continuous stream of messages and real­-time alerts, so why not collect school, district or group-­wide updates there too? The Jostens SchoolWay™ app cuts the clutter and puts secure, immediate updates into the hands of parents and students. Managing school schedules and activity details should never get in the way of what really matters — memorable experiences. With the Jostens SchoolWay™ app, they don’t have to. When parents and students first log in, they are prompted to follow relevant channels. Districts. Schools. Courses. Clubs. Sports. Bus routes. Details and updates sent by administrators are collected in a central feed parents and students can quickly view. The goal? Building a solution that centralizes information and scales as the technology is introduced in schools across the nation. 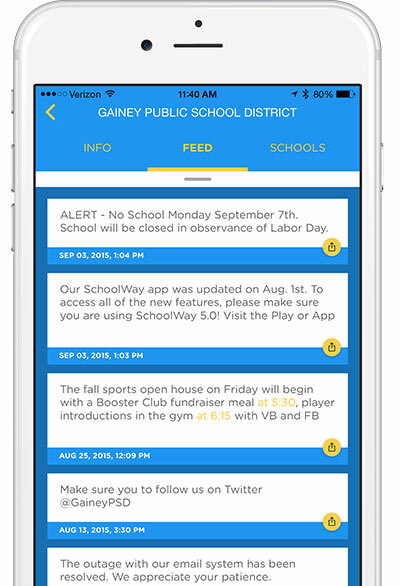 SchoolWay gives administrators the option to send updates as they happen directly from the app. The statuses can be text-­based but also support the distribution of multimedia content including photo galleries and documents. Parents and students can use SchoolWay to view profile details including contact information for teachers, coaches and even administrative bodies. 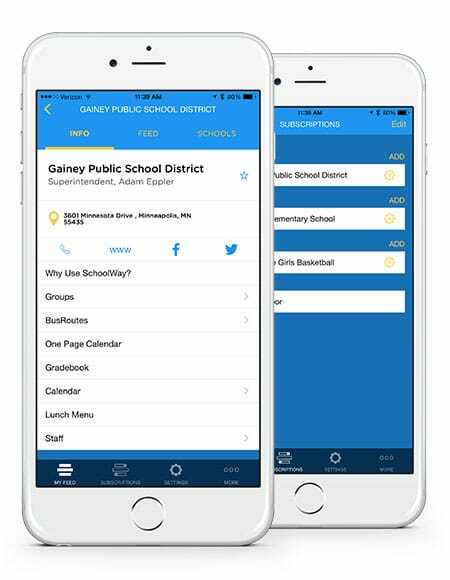 The SchoolWay app also aggregates information and resources in a central hub including the staff directory and relevant parent hotlines eliminating the need for fact­-finding online.